Redan MB-70 HI is an aluminium system of enhanced thermal insulation properties that is used for constructing parts of external installations that require very high thermal and sound insulation parameters, e.g. various types of windows, doors. 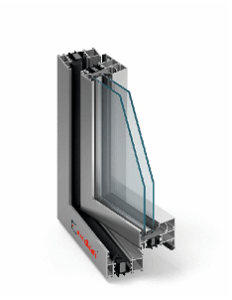 It comes in a standard of enhanced thermal resistance achieved through using special insulating inserts inside the profilers and the area below the pane. Anti-burglary windows and doors up to RC4 class as well as ventilation windows can be made in the MB-70 system. 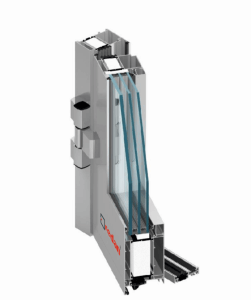 It is a system for windows and doors having very solid parameters that can satisfy varying needs of its users. The profilers’ structure can be constructed in 3 variants depending on thermal energy saving requirements: ST, SI and AERO. MB-86 is the first in the world system, alongside MB 104, that makes use of aerogel – a material of excellent thermal insulation properties. The advantages of the MB-86 system include high profile resistance that enables creating structures of large dimensions and weight. A MB-86US windows version with a concealed sash is also available. The SI version has special insulating inserts inside the frame and sash.